I had a fabulous time walking on the beach, lounging by the pool and connecting with family and friends in real life. Honestly, when the plans were set for this getaway, I wasn’t sure how I was going to handle it and was a little freaked out by the lack of internet access. I am very pleased with myself for making it through and really embracing life without gadgets for a little while. 1) I can survive without it. And dare I say, thrive. I encourage everyone to routinely take an internet vacation. Take time to learn how to connect with yourself, others and nature again. 2) Real life is fun if you make time for it. Remember life before the internet? It is so easy to become addicted to being online and forgetting about the world around you. Don’t forget how to have fun by scheduling time for it. 3) I learned things about my friends and family by being present and not attached to my phone. Has it been awhile since you truly engaged with someone face to face and gave them 100% of your attention. The online world is so distracting. Don’t forget to cultivate real relationships with people you come in contact with every day. 4) Memories should be built on experiences and held in our hearts and our minds not as posts to share on Facebook. Sometimes you need to just stop taking pictures or thinking about your next Facebook brag and truly lose yourself in the moment. Every little detail of your life does not need to be shared with others. 5) I have to re-examine my priorities and life and see how my blog fits in and enhances those choices and decisions, not the other way around. I think I actually had become addicted to the internet and social media. I also feel I had lost a sense of self in trying to present a certain image. People want to connect with me and what better way to do that then to let my blog reflect my priorities and my life. I have allowed my online presence, because of my blogs and businesses, to occupy top billing for far too long and everything else had to be reluctantly squeezed in somewhere. Well no more. Life is too short my friends. 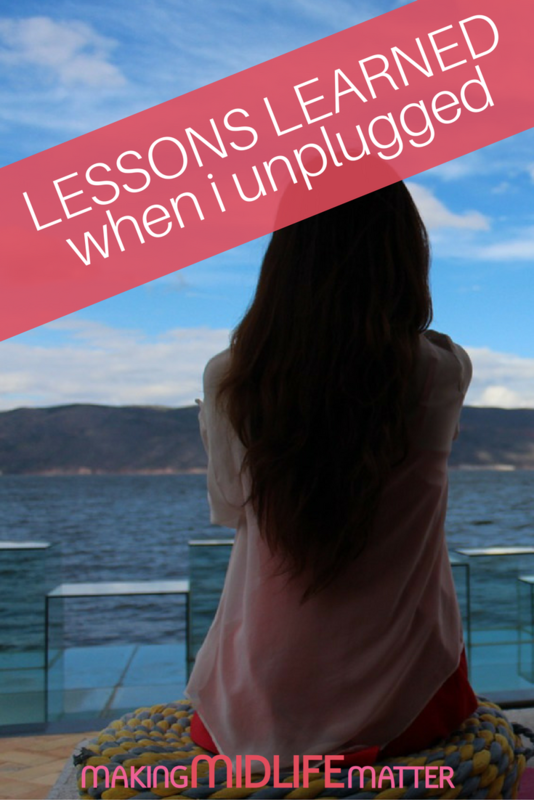 Take time to unplug today and truly walk away, even for a few minutes. What did you do today to embrace real life? Did you read a real book, hug a friend or turn your face up to the sky and breathe in the sunshine? Make time for the things that are important.